A.K.A. 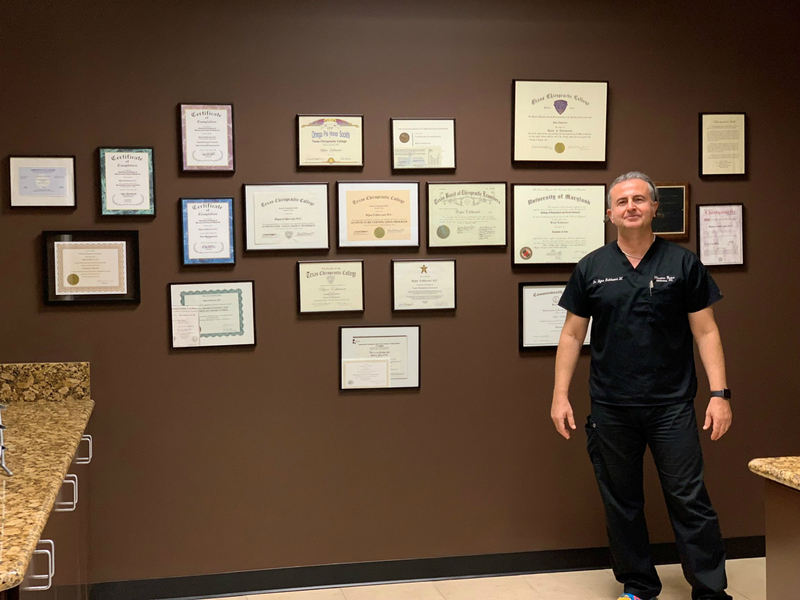 Dr. E has been practicing in the Houston area for the past 17 years. He is licensed in Texas, Virginia and Arizona and is fluent in Spanish and Farsi. He graduated from University of Maryland, class of 88' with a BA in Psychology and Political Science. He then continued his education at Texas Chiropractic College, where he graduated with honors in 2001. He has been practicing acupuncture since 2004. He received his certification in Manipulation Under Anesthesia in 2008 from the American Academy of Manual and Physical Medicine.